Dodgers activate Rob Segedin and Shawn Zarraga, option Luis Avilan to Triple-A. The Dodgers selected Shawn Zarraga‘s contract from Triple-A, giving them a backup catcher on the day A.J. Ellis was traded to the Philadelphia Phillies for Carlos Ruiz. Ruiz is expected to arrive in Los Angeles in time for tomorrow’s game against the Chicago Cubs. The Dodgers also reinstated Rob Segedin from paternity list and optioned pitcher Luis Avilan to Triple-A Oklahoma City. 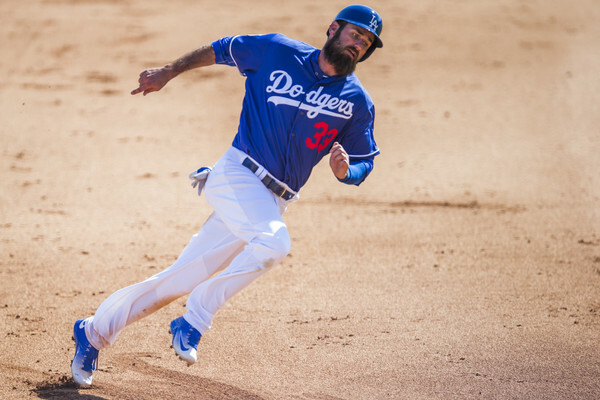 In a corresponding move, Scott Van Slyke was transferred to the 60-day DL. Van Slyke had been on the 15-day disabled list, hoping to avoid season-ending surgery on his right wrist. Regardless of whether or not he has surgery, Van Slyke’s season is over. He is not eligible to be activated until Oct. 7, five days after the Dodgers’ final regular season game. This is the first major league call-up for Zarraga, a 27-year-old career minor leaguer who’s shuttled between Double-A and Triple-A this season. The native of Aruba was slashing .194/.268/.222 at Oklahoma City. This entry was posted in JP on the Dodgers and tagged Luis Avilan, Rob Segedin, Scott Van Slyke, Shawn Zarraga by J.P. Hoornstra. Bookmark the permalink.